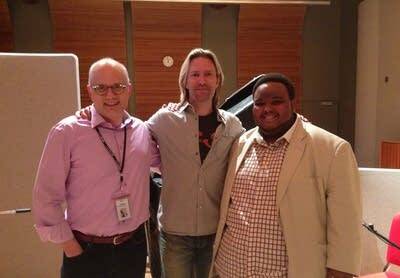 Classical MPR's Tesfa Wondemagegnehu and Brian Newhouse talk about how they discovered Pentatonix  and what they love about this innovative choral group. I still remember the day when I walked into your office and started talking about Pentatonix. You had this look on your face that I'll never forget. Then it hit me, you had no idea who they were or how amazing they are. I forwarded you a few videos and, man … within, like, 30 minutes you became the biggest "Pentaholic" I know. What was it that hooked you? After that conversation, I went home to my teenage daughters and asked them if they'd heard of Pentatonix. Oh, man: eye-rolling of epic proportion. The more I talked to other choral geeks, some of them the best professionals in the Twin Cities, I discovered that they were in the tank for Pentatonix, too. I'm notoriously late with trends, but I love how these singers put as much craft and attention-to-detail as the best choirs I know. You can tell they wood-shed like crazy. But they toss it off like, hey, this is no big deal. You've been working around high-schoolers for four, five years; what did this group mean to them? My choral students at Freedom High School were PTX addicts. After school, just hanging around the chorus room, they would talk nonstop about The Sing Off and this group. Time passed and every time Pentatonix released a new video, I had at least 20 kids come up to me and say, "Yo, Mr. Won, have you seen that new Pentatonix video? It's ridiculous." I have to admit, it took me a while to realize that ridiculous meant the same as amazing. So I decided to check them out and see what I could transfer to my choral instruction. I grew up listening to Take 6 so I didn't know if I would be impressed, but WOW; They. Were. Ridiculous. I thought I was going to teach my students, but they taught me. 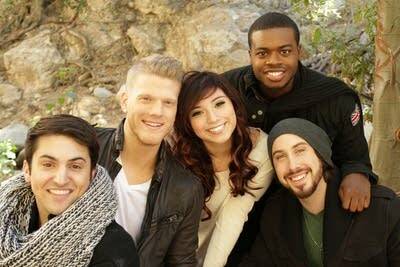 Speaking of learning, what were you most surprised to learn from Pentatonix during our interview? You watch these guys on YouTube or TV and you think they are so unbelievably cool  and they are! But what surprised me is how they describe themselves as Classical and Choral nerds. Soul-mates of mine! They all spent hours every day in college and high school choir rooms, Avi went on to study opera … So, yep, we speak the same language. Only they have waaaay better hair. How about you? You've known them for years, so what jumped out at you? I've been impressed with their videos and extremely creative arrangements, but I always wondered when they would release an original song. Then it happened; PTX released Run to You. Speaking of hair, have you seen Eric's hair? Now THAT is some good hair! It is so impressive to see that Pentatonix are truly into choral music and study composers like Eric Whitacre and Morten Lauridsen. I wish I had that gem of information while I was teaching, I could have hooked the whole school on choir! And if I were a cello teacher, I'd be pointing my students at Kevin's version of "Julie-O." The horsepower that guy's got between his ears to do all this at once  then to learn that he was pre-med at Yale, and he also speaks Mandarin … I'm going to lie down now. And watch "Julie-O" one more time. And if anyone else has got recommendations for Tesfa and me of other groups we've got to be following, but may not know about, please leave your comments below. Choral music is such an inclusive art form, and I love learning about new groups and new ways of singing together!